The property was purchased from painter Beatrice Findlay, who bought it in 1977 for $138,000. Jake Shears of Scissor Sisters and his partner, filmmaker Chris Moukarbel, have bought the UlmHouse in Los Feliz for $1.92 million, reports the L.A. Times. 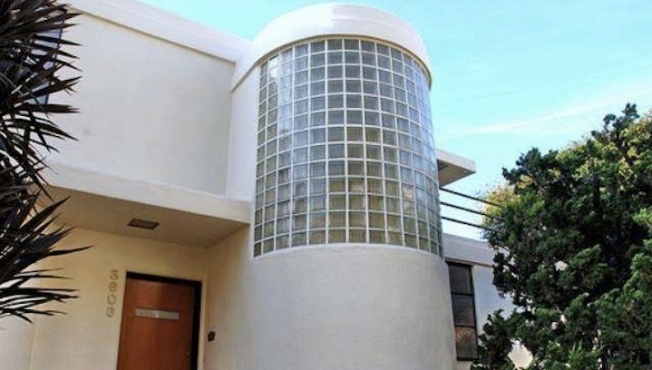 The Streamline Moderne-style home, built in 1937, was designed by architect William Kesling. It features four bedrooms and four bathrooms in three levels. There is a rounded glass-block illuminated stairwell and walls of windows that provide "dazzling city views." The home offers 2,309 square feet of living space and sits on a 5,549-square-foot acre lot. Read the full story on the L.A. Times.